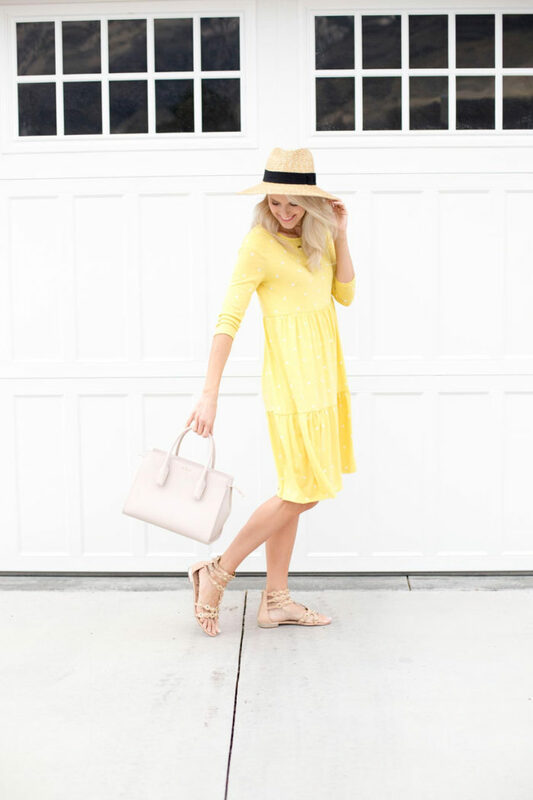 Spring Dresses for a Great Price and Good Deals! Spring is juuuuuust around the corner and boy, am I welcoming it with open arms. I get the winter blues when it’s super cloudy all of the time, and I love that we have had a couple days in the 60’s lately. It gives me some hope! This is the time that I start to add some more color to my closet. 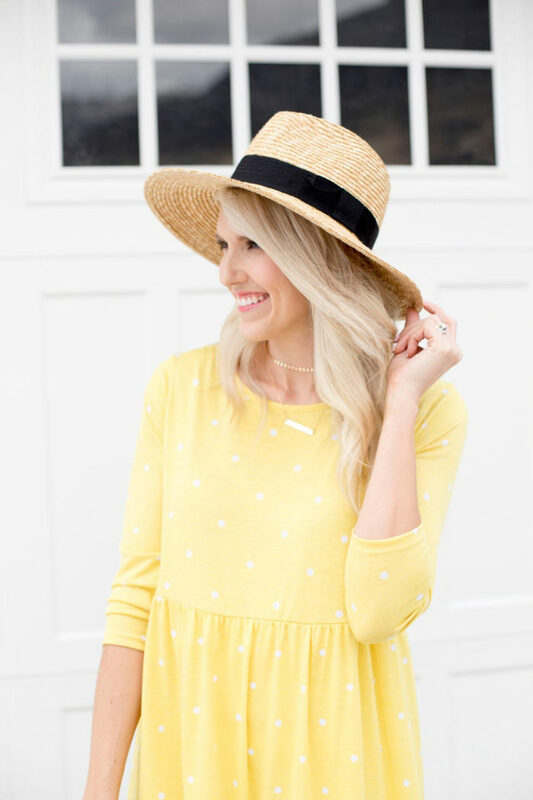 I like simple pieces that are easy to wear, and this dress is perfect!! I love the bright yellow. It makes me so happy! Use code DRESS18 at checkout to get 40% off this dress, and all of these dresses, too! I also love this long maxi dress, and with the code, it ends up being only $20.97! I’ve talked about this hat a lot because I’ve worn it countless times. They keep restocking it because people LOVE it. It’s easy to wear, I love that the brim is stiff so it shades your face from the sun but it doesn’t block your vision, it’s comfortable, and it goes with pretty much any outfit. I just got these sandals and knew I would love them when I ordered them online because Sam Edelman makes the most comfortable shoes. I had similar sandals that I wore all over Europe and they looked AMAZING at all times. They are such high quality and I think they are worth the price tag. They run true to size. We are headed to the Utah Infertility Resource Center Gala tonight and I’m really looking forward to it. Have a great weekend, beauties! !